JOIN THE ARMY OF DORKNESS! 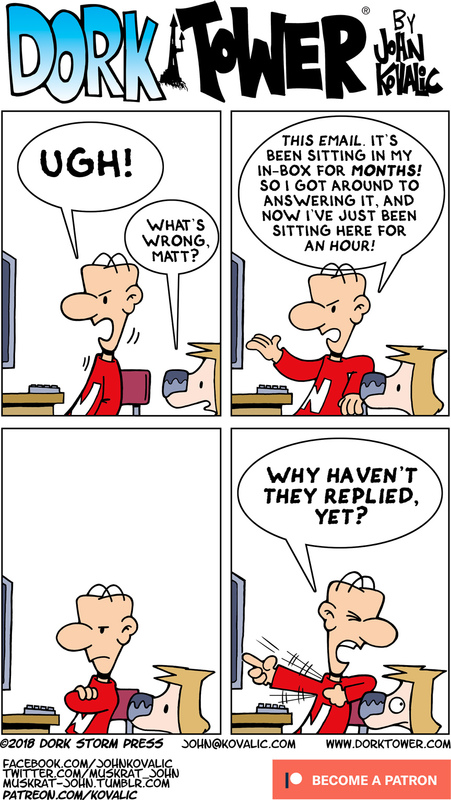 Dork Tower has a Patreon campaign, with amazing backers who make these webstrips possible. 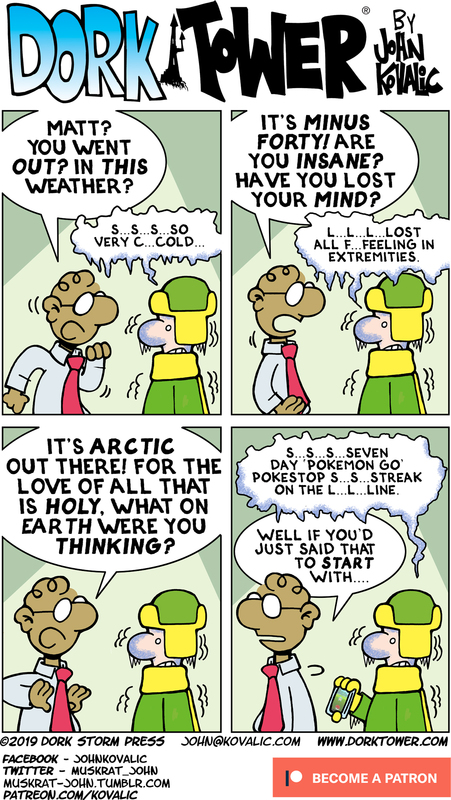 And there’s bonus comics, bonus content, and swag! Sweet, sweet SWAG! We’re trying to reach three comics a week, and it’s SO CLOSE! Check it out, why don’t you?